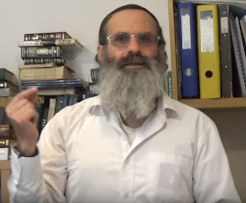 TOMER DEVORAH: Basic Concepts: "Good and Evil"
Good and evil, male and female, Jew and Gentile - all of the walls of separation are under attack by those who war against God and His Torah. The lines of division are being blurred so much today that it is causing mass confusion. In some quarters, the only "evil" that is recognized are those who would put restrictions on mankind's behavior and who refuse to assimilate into the amalgam. In the battle of foreign culture against G-d's concepts of morality and faith, with the constant struggle to distort the Divine truth, no distortion is more widespread or dangerous than that which stems from "moral" opposition to G-d's concepts by the many evildoers who consider themselves far more righteous than their Creator. In our day, such persons have proliferated due to the foreign culture which has penetrated G-d's sanctuary. ...In the war declared against G-d by those who rebel against His word, on the one hand they brazenly question G-d's nature and infinite greatness. 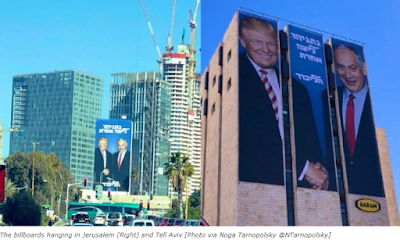 As King David said, "The fool says in his heart, 'There is no G-d.' They deal corruptly, they do abominably, there is none that does good" (Psalms 14:1). Indeed, in their arrogance, "They have set their mouth against Heaven, their tongue walks the earth" (Psalms 73:9). They have dared to fashion their own culture, their own way of thinking, their own approach to morality, while scornfully ridiculing G-d: "They say, 'How does G-d know? Is there knowledge in the Most High?'" (Psalms 73:11). On the other hand, these rebels, and all others for whom the laws and moral code of G-d are so unacceptable as to be tortuous, falsify the truth, and the result is distortion. The impure have entered the sanctuary of G-d's moral code and made their own rules, with light being turned to darkness, darkness into light, and falsehood overriding truth. Of all their distortions, none is more dangerous than that applied to the terms "good" and "evil." Through them, all the other traits are necessarily falsified as well, for they stem directly from good and evil. As a result, the world is sunken in a morass of falsehood, with wickedness and evil praised and goodness and justice abhorred. ...Like an architect building a building with blueprints and designs, G-d created the world according to the Torah, i.e., the traits, virtues and ideas of G-d, inherent in the Torah, and all so as to create "good." G-d, Who is entirely good, gazes into the Torah of which our sages said (Avot 6:3), "There is no good but Torah: 'I give you a good doctrine, forsake not my Torah'" (Prov. 4:2). ...The very concept of "good" necessarily raises the issue of its opposite, its contradiction, its enemy, "evil." Just as light is necessarily the opposite of darkness, and sweetness the opposite of bitterness, so is goodness the opposite and sworn enemy of evil. Since G-d created the world for the sake of the completeness and perfection of goodness, there is clearly no room in it for its opposite, evil, let alone for the evildoer. ...Since a person is obligated to choose good and reject evil absolutely, and this requires separation and not mixing, it therefore says (Gen 1:4), "G-d divided the light from the darkness." G-d assigned them separate spheres so they would not serve together, but there would be a noticeable difference between them. ...Rashi comments (Gen. 1:4), "G-d saw that it was good, and it was not fitting for light and darkness to serve together. He therefore established day as the realm of one and night as the realm of the other." Thus, G-d established the concept of good and evil and He separated between them. With this He established a fundamental principle for Creation and for Israel - separation - without which the world cannot survive. The very separation is what defines and makes possible a clear recognition of the difference between good and evil. This prevents the two being confused, from which falsification is born. ...The idea of separation serves to ensure that the desirable be kept apart form the undesirable. How much more so must truth be kept separate from falsehood and goodness from evil. Such separation serves to defend the identity and purity of good, to save it from distortion and falsification. Truth and goodness will never be threatened by those who reject them. Yet an existential danger threatens goodness, truth, and all G-d's traits, from the falsifiers, those who blur distinctions, calling evil, "good" and good, "evil." This so-called rabbi is orthodox like the open orthodoxy crazies. This guy along with his cohorts have some kind of mental distortion on reality. It states clearly in the book of Vayikrah about this prohibition and yet he calls himself an orthodox rabbi. Is this not the world of chaos and confusion? He is a complete contradiction of how he describes himself. H' yerachem! Maybe he stills needs lots and lots of Torah lessons where he will also learn the reason for the Great Flood, the destruction of the world where only Noach and his family survived. It seems, the sins are again leading the world in the same direction. He says, "Just as much as I believe in God's laws, I believe no one person has a lock on defining what they are." In one short statement he has completely destroyed Judaism's foundation. This man is a kofer and there are tens of thousands (at least) like him among us. "In the battle of foreign culture against G-d's concepts of morality and faith, with the constant struggle to distort the Divine truth". This is not a Battle but an all out War for the "Hearts and Minds" of Jews. You really need someone such as a Rav/Friend/Study Partner/Spouse to constantly check to see if you are still on the right path, along with constant Daily Personal Prayer to Hashem. The S-M is a lot Smarter and Older then you and will use every "trick in the book" to mess you up. To many Jews have fallen for his tricks because they don't talk to Hashem about what they hear and they don't talk to a close Rav/Friend/Study Partner/Spouse.